The year comes to a close with serious political advances made by the Right. 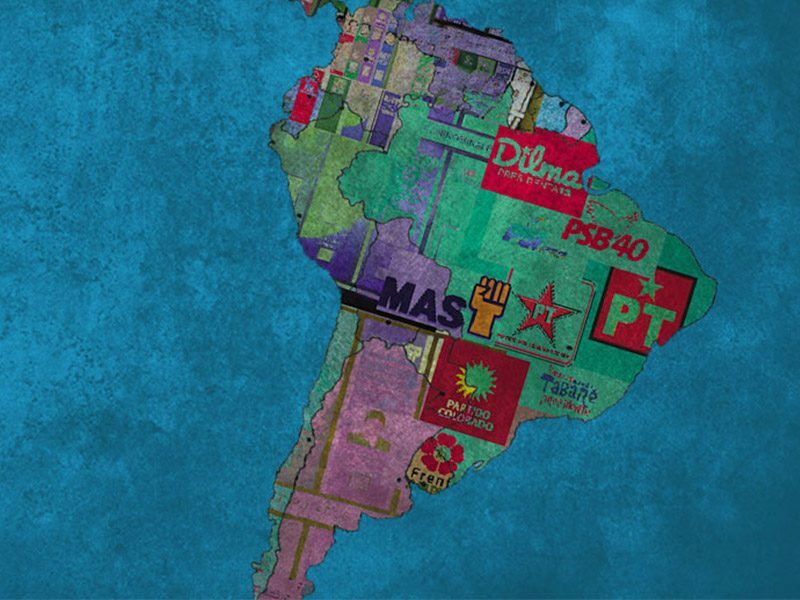 We are facing a major change in South America—an “end stage.” The hegemony of relatively progressive regimes is disintegrating in the context of economic stagnation and efforts by the United States to recuperate its position in the region. This is an adaptation of an article published in La Izquierda Diario. In Argentina, Macri’s “government of managers” has begun to orchestrate a series of austerity measures. In Brazil, the Right continues to capitalize on the government’s political crisis, fueled by the PT’s regressive measures, corruption scandals, and threats of President Dilma Rousseff’s impeachment. 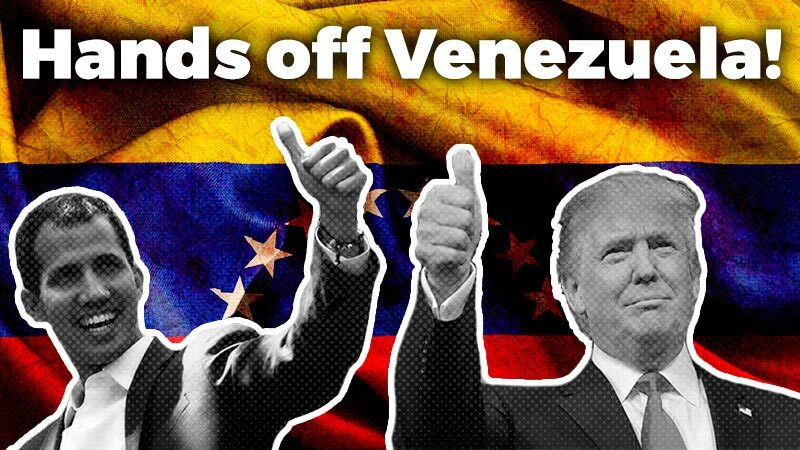 In Venezuela, the reactionary opposition made unprecedented gains in the November elections, winning the majority within the National Assembly, leaving Nicolas Maduro’s Chavist government weakened in the face of an acute economic and political crisis. This expresses a significant step in the Right-ward “swerve” that has sharpened during the course of the year, with milestones like the friendly “new American dialogue” proposed by Obama at the Panama Summit; a U.S.-led “thaw” in relations with Cuba to facilitate the process of capitalist restoration on the island; a “peace process” in Colombia for a “negotiated surrender” of the guerrillas. Now in this “end stage” of progressive neoliberal governments, there is no doubt that imperialism and the various national bourgeoisie will attempt to extend these advances in the coming years. Progressive governments were and continue to be part of this conservative turn, through their incessant structural adjustment measures, devaluation and inflation, eroding wages and exacerbating the problems of education, health, transportation and housing. Adding to this, they have hardened their response to the struggles of working class and poor people’s struggles, while at the same time adopting items from the reactionary agenda (ie., their emphasis on “security”). They have remained loyal to the continued payment of foreign debt; they have made major concessions to big business and multinational groups. It is not a minor fact that their leadership style (“Bonapartist” traits, in Marxist language) has resulted in alienating sections of the population, adding to a greater dissatisfaction with the economic situation. Thus, they paved the way for the conservative advance. Incidentally, they allowed the Right to rise with an appearance of “renewal” and “change,” as well as rhetoric of the “fight against corruption” and even “democracy.” Thus, the Kirchnerist’s failed bid for center-right presidential candidate Daniel Scioli and his campaign of “security” and “gradual” austerity made it easier for Macri’s victory. 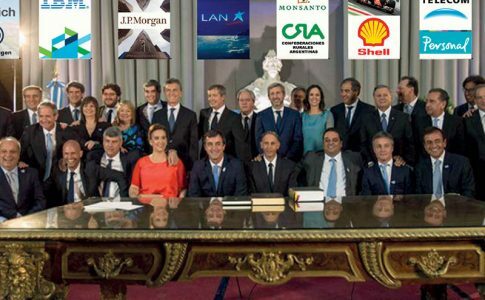 In fact, the same Kirchnerists are now supporting Macri’s new “governance” plan). Brazilian President Dilma’s unpopular measures have provided traction for the right-wing oppositional agenda. In Venezuela, Maduro, despite his rhetoric of an “economic war,” did not take real measures against the capitalists, making it easier for a demagogic opposition to penetrate popular sectors. The international crisis has brought an end to years of growth in the region, laying bare the true balance of what Kirchnerists call the “década ganada” – a period of labor-friendly policies. The contradictions of a capitalist Latin America have been come to light. Within this context, there is no enduring progressive speech. The post-neoliberal governments came to power on the wave of a succession of political crises and uprisings that toppled the neoliberals such us De la Rua and Sanchez de Losada, demobilizing and channeling popular discontent with some partial concessions. While preserving corporate and landowner power, with which they “cohabited” all these years, these post-neoliberal governments maintained the neoliberal privatizations (with some partial exceptions), precarious employment and insecurity, the deepening of “primary export” and “extraction” models, and the overall dependence on foreign capital. With decreasing revenues derived from exports (soy, mining, oil), the possibility of mediating and arbitrating between classes – the continuation of contentious social policies while at the same time maintaining the smooth operation of capitalist business – has greatly diminished. The “national and popular” regimes have managed the developing crisis at the expense of wages, employment and living conditions. Meanwhile, the expectations of the masses lingered, unsatisfied. The discourse of the “new right” deploys demagoguery and prejudice to capture the popular vote. 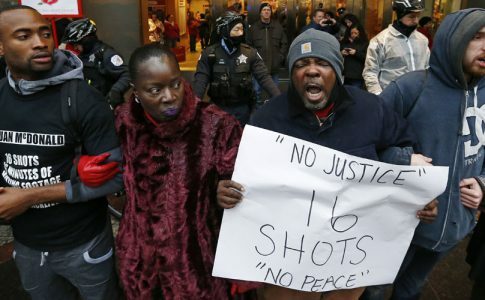 It has the support of the mainstream media, the bourgeois consensus, and capitalizes on the discredited state of “progressivism.” But it remains to be seen whether the Right will be able to transform its political and electoral successes into new relations of social forces in order to impose a reactionary agenda—increasing exploitation and reducing workers’ rights, “cutting costs,” encouraging “competitiveness” at the expense of the national economy, favoring landowners, and increasing the commitment to foreign capital. The right will try to exploit its recent success in order to further this agenda. However, within the context of great economic, social, and political contradictions, there may be a broadening polarization paralleled by a rise in workers’ struggles and popular resistance. There may be an explosion of great battles, articulations of class struggle. Unlike the 90s, the conservative advance today faces the working class and popular sectors – particularly in the Southern Cone – that have accumulated power, are unwilling to give up their wages and jobs, and have held on to their aspirations. 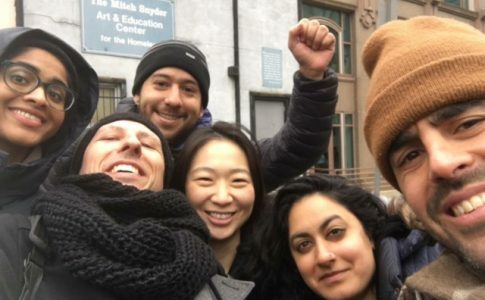 The resistance needs a strategy and program that meet the level of the capitalist attacks – so that the crisis may be paid by the rich – thus breaking from imperialism. And for that, it is necessary for workers leave behind both the rightwing and the self-described “popular” parties. It is essential to have a clear balance of the “post-neoliberal” experience. The governments of Chavez, Evo Morales, Lula, Kirchner, and their successors did not fulfill the promises of “real democratization” and “industrialization.” There were no true agrarian reforms; nor was there any Latin American unity, beyond the usual rhetoric. Following from their class character and limited program of reforms, they failed to go further and bring about a mass mobilization. Old lessons of Latin American history have been validated. Neither Peronism nor other nationalist and reformist versions have paved the way for genuine national and social liberation. They have always led to frustrations, if not harsh defeats. This is yet another powerful reason to redouble the fight for political independence and the organization of workers, in an attempt to forge a way out of the capitalist crisis. Only the strength of workers, uniting the oppressed sectors of the city and the country with the needed methods of mobilization, can defeat the imperialists’ “plan of war” Latin America. What would the balance be if workers from Brazil and Argentina were to coordinate and overturn this attack? Therefore, the anti-imperialist flags and the unity of workers of neighboring countries, along with the fight for political independence and the organization of the working class, must be part of the program. 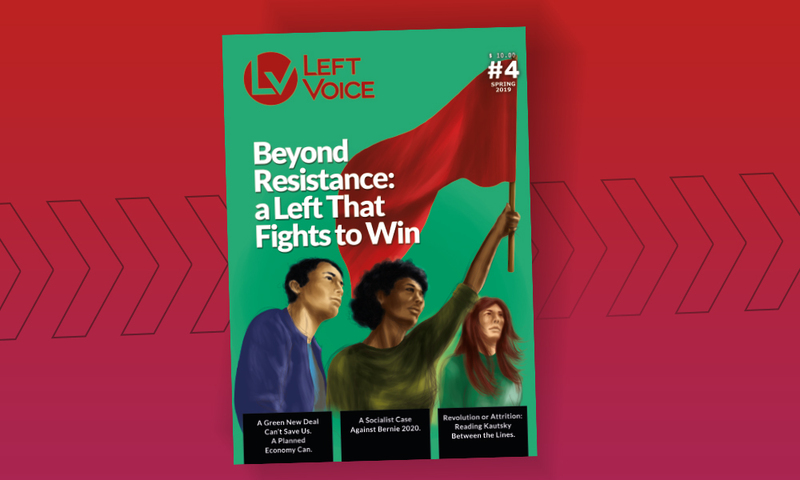 In the heat of the fierce coming battles, there will be new challenges and opportunities to advance the construction of a socialist left of workers in Latin America and internationally. 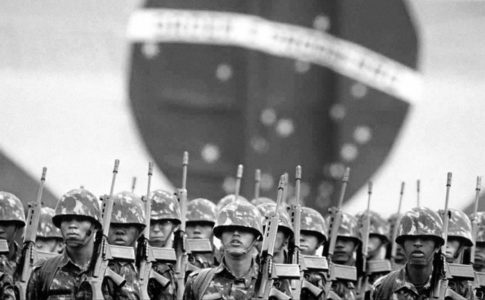 The Brazilian President called the military to commemorate the anniversary of Brazil's 1964 coup.